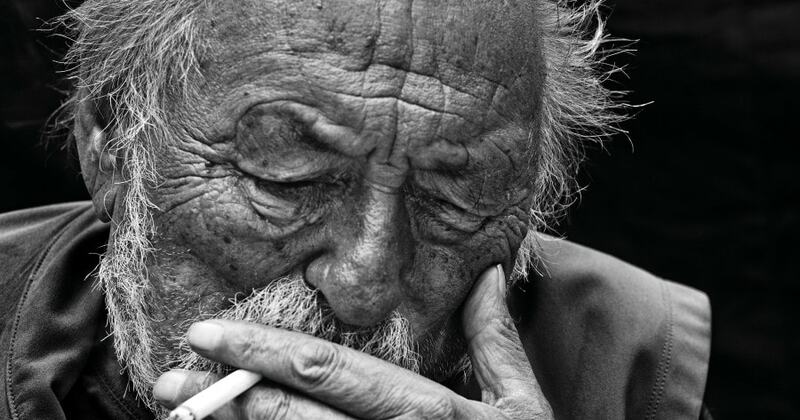 Author and poet Jim Harrison is known not only as one of the literary greats, but as one of the most iconic Northern Michigan voices in history. Over the course of his career as a writer, Harrison published an astonishing 36 novels, collections of novellas, books of poetry, and anthologies of nonfiction; all this in addition to more than 20 screenplays, a half-dozen of which were produced and released as major motion pictures. Harrison spent 65 of his winters in Northern Michigan; hunting, fishing, and writing the landscape until he died March 26, 2016, at the age of 78. The loss of Jim Harrison rang throughout the state. But—as Harrison himself once said, “Death steals everything except our stories.” And Harrison left behind so many stories to be celebrated. “Jim Harrison—A Really Big Tribute” will be held in Traverse City on Saturday, October 21 at 7 p.m. at the City Opera House. Saturday’s tribute will bring together writers, readers, travelers, and friends in celebration of his life and work. The tribute will be followed by two afterparties open to the public featuring special menus and drinks in Jim’s honor—The Little Fleet from 8 p.m. to close and The Workshop Brewing Company from 9 p.m. to midnight. Joyce Harrington Bahle, Harrison’s friend and publicist of 38 years, tells us more about the event. What does Jim represent for literature and for Northern Michigan? I think this piece in Glen Arbor Sun tells it all. These are writers who were inspired by Jim (Michael Delp, Jerry Dennis, P.J. Grath, Kurt Luedtke, Ray Nargis, Anne-Marie Oomen, Doug Stanton, Kathleen Stocking, Norm Wheeler). Why have you chosen to host this tribute to Jim? After being away from my home in Leelanau for many months, both in Montana and Arizona surrounding Linda [Harrison]’s death and then, sadly, Jim’s death five months later, I came home again to be alone, quiet, continue my work and try to process the magnitude of it all. We had the opportunity to do different memorials in Montana, Arizona, Chicago, and NYC. The Harrison daughters had beautiful tributes in Montana and they agreed I should do something here when it was right. I was approached by many thinking of ideas but I asked them to hold off. I knew one day it would be right and I would think of the right way to do it. It was clear that I should be the one to do something in our area, and then late last spring, I felt more ready to sow the seed of the idea, and a tribute took shape. I never thought it would be small; I knew it would garner many generations and admirers who needed to celebrate Jim’s life. This is not a memorial, but a tribute to his life, featuring speakers from across the country. Who do you expect will be in attendance? We have folks coming from Australia, California, many from NYC, Ohio, Canada, all over the state of Michigan—and, of course, those in the surrounding areas of Traverse and Leelanau County, as well as the Upper Peninsula, where Jim had his remote cabin. What do you hope to achieve or convey through this tribute? Jim’s passing more than a year ago has inspired many accolades, remembrances, and memorial tributes by his family, friends, readers, and fellow artists around the world. My own days since losing Jim, and earlier Linda, have been filled with work and memories in which they are always present, as they will be for the rest of my life. After 38 years of working with Jim, and after so many people have asked for a gathering, I am now preparing a celebration of his life and work up here in Northern Michigan, where he wrote and wandered for six decades, and where his art and legend continue to loom large. This experience will feature speakers from around the country whose connection with Jim was vital and profound; my accomplices and I (including Joseph Bednarik, of Copper Canyon Press, and Gary Wilson, from Michigan State University), aim to summon Jim’s spirit through an invocation of words, music, and images. *Only a few tickets remain! Some still available at the time of publish—2 p.m. on Wednesday, October 18. Both afterparties are open to the public, however, and do not require tickets.